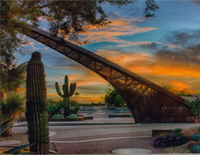 The Town of Paradise Valley is conveniently located in the heart of the Scottsdale-Phoenix metropolitan area with short drives to a number of memorable attractions. Whether your interests lie with arts and culture, professional sporting events, desert hiking adventures, world-class golf courses, shopping, or luxury spa treatments, the Paradise Valley area offers truly special activities. Blue skies and warm temperatures are what you will find in Paradise Valley. On average, we enjoy 294 sunny days per year. 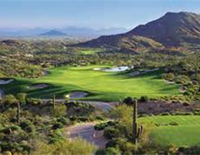 Tucked into the rolling hills and dramatic scenery of north Scottsdale, Arizona, Desert Mountain is among the finest private golf and recreational communities in the world and is ranked among the top 10 in the nation. 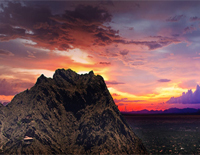 The town of Carefree, settled in the foothills of the Sonoran Desert amid lush terrain and ancient boulders, offers refuge from the larger cities of Phoenix and Scottsdale to the south. 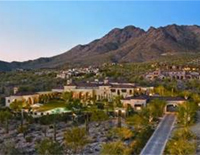 It is bordered by the city of Scottsdale to the south and the town of Cave Creek to the west. 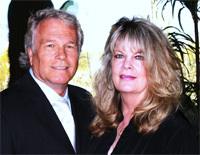 Carefree and Cave Creek are often thought of as a single community. The two towns share the local landmark Black Mountain. 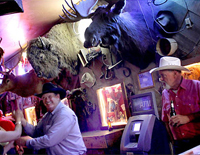 Located high above Phoenix in the foothills of Black Mountain, Skull Mesa and Elephant Butte, Cave Creek has accomplished the nearly impossible task of maintaining its old west character and charm in an era of exponential growth within the metropolitan Phoenix area.